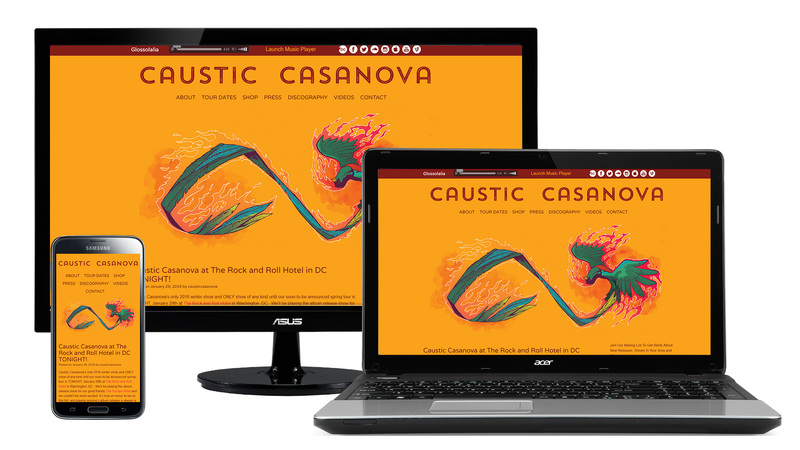 I was asked by the Washington, D.C. band Caustic Casanova to create a Wordpress-powered blog and website. 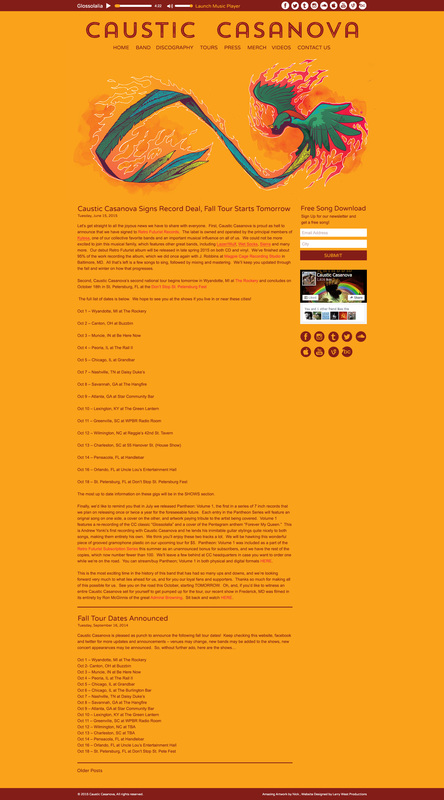 My responsiblites were to create a site from scratch, coding the best HTML5 possible and mixing it with the developing Wordpress system, using a knowledge of PHP to help with functionality. 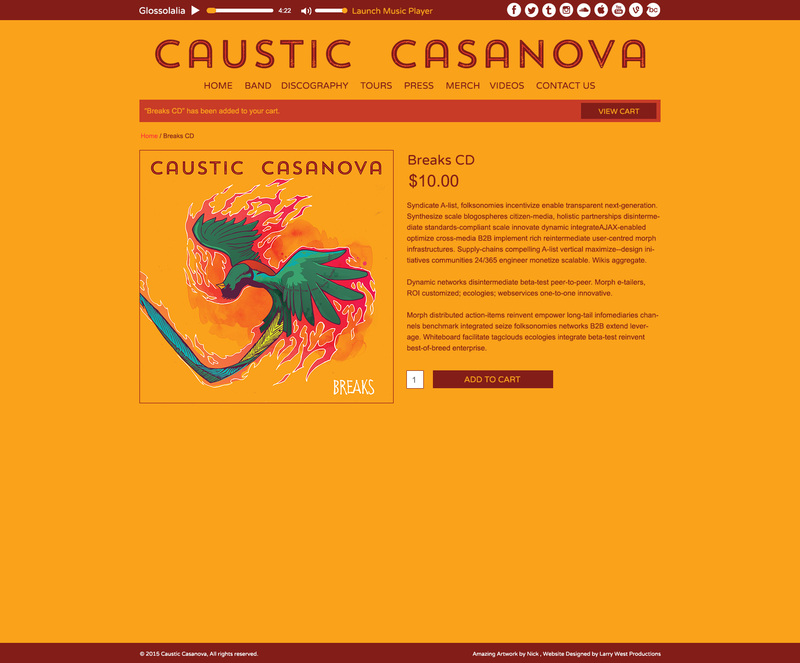 The site includes a webstore and a music player, both of which relied on plugins for backends but great CSS skill to get them to blend in with the rest of the site. The result was a fully-responsive website with a solid web store.